I highly recommend Matthew Buckley’s review articles at Boston Review. These are excellent tutorials. An introduction to the LHC and some intriguing data from its second run, announced in December 2015. A gentle overview of the mathematical language of particle physics, which is used throughout the rest of the series. A tour through the Standard Model, up to the Higgs mechanism. The theory of the Higgs mechanism, and how it explains the quantum puzzle of mass. A close look at the design and function of a particular LHC detector, and the debt theorists owe to engineers and experimentalists. The high standard of evidence in particle physics, and the history of false alarms leading up to the final discovery of the Higgs boson. What else might be found at the LHC: additional Higgses, supersymmetry, and dark matter. The long-awaited resolution of a tantalizing hint of new physics discovered last December at the LHC. 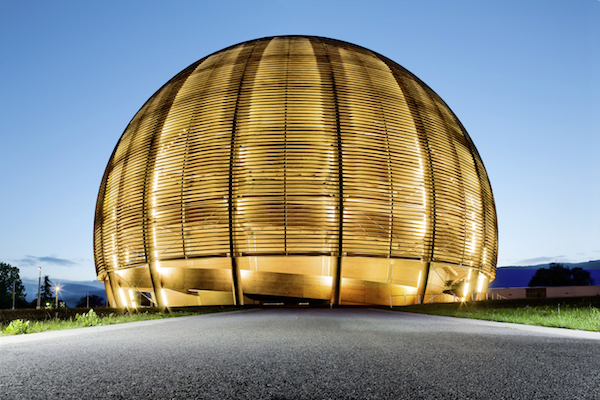 This entry was posted in physics and tagged CERN, LHC, Matthew Buckley, Particle physics. Bookmark the permalink.